Nianjema students were in the top 10.5% of all students in Tanzania in the latest national exams (2015). Nianjema students ranked 122 out of 1162 schools nationwide and there were no failures. “All of our Nianjema students qualified to go on to high school and university or to teaching colleges," says Headmaster Anthony Nyenshile. Students’ continuing high performance is important. Prospective students and their parents watch the annual rankings to decide where they will enroll the next year. Poor performance for one year has the potential to impact the school enrollment for years. Nianjema continues to draw students who otherwise would not be able to attend school at all, so their outstanding placements on national tests are a significant measure of the success of our teaching and learning philosophies. 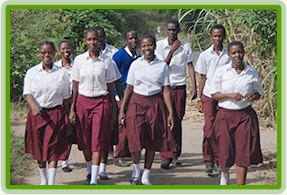 Our success also means that students from throughout Tanzania are now interested in attending Nianjema schools. Thanks to all of you who continue to support the success of our students. To find out more about our scholarship programs, click here. To donate, click here.